All editions are beautifully designed and are printed to superior specifications; some include illustrations of historical interest. Barnes & Noble Classics pulls together a constellation of influencesbiographical, historical, and literaryto enrich each reader's understanding of these enduring works.Emma Woodhouse is a wealthy, exquisite, and thoroughly self-deluded young woman who has "lived in the world with very little to distress or vex her." Jane Austen exercises her taste for cutting social observation and her talent for investing seemingly trivial events with profound moral significance as Emma traverses a gentle satire of provincial balls and drawing rooms, along the way encountering the sweet Harriet Smith, the chatty and tedious Miss Bates, and her absurd father Mr. Woodhousea memorable gallery of Austen's finest personages. Thinking herself impervious to romance of any kind, Emma tries to arrange a wealthy marriage for poor Harriet, but refuses to recognize her own feelings for the gallant Mr. Knightley. What ensues is a delightful series of scheming escapades in which every social machination and bit of "tittle-tattle" is steeped in Austen's delicious irony. Ultimately, Emma discovers that "Perfect happiness, even in memory, is not common." Virginia Woolf called Jane Austen "the most perfect artist among women," and Emma Woodhouse is arguably her most perfect creation. 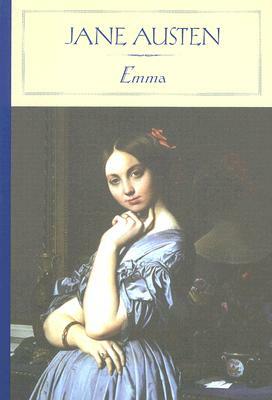 Though Austen found her heroine to be a person whom "no one but myself will much like," Emma is her most cleverly woven, riotously comedic, and pleasing novel of manners. Steven Marcus is Professor of English and Comparative Literature and George Delacorte Professor in the Humanities at Columbia University, and a specialist in nineteenth-century literature and culture. A fellow of both the American Academy of Arts and Sciences and the Academy of Literary Studies, he has received Fulbright, American Council of Learned Societies, Guggenheim, Center for Advanced Study in the Behavioral Sciences, Rockefeller, and Mellon grants. He is the author of more than 200 publications.